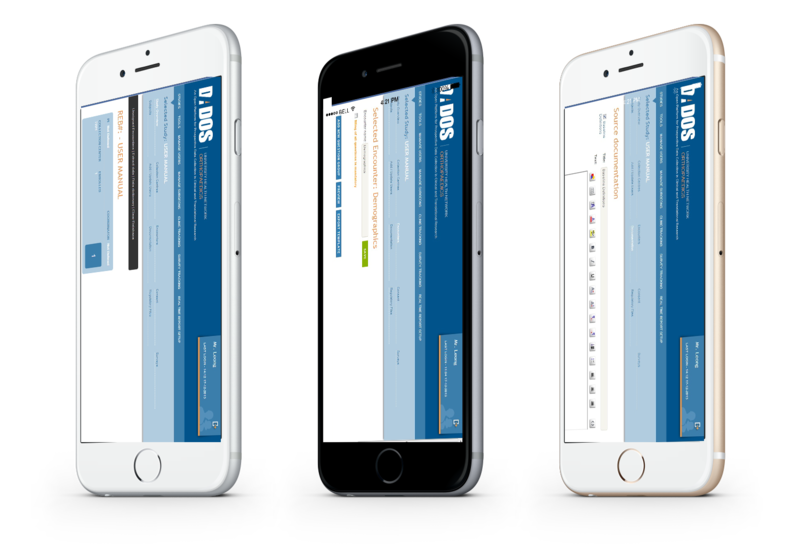 DADOS makes it easy for patients to fill out questionnaires directly on their tablet, from which clinicians and researchers can retrieve this information and build custom reports. We’ve designed DADOS to function seamlessly on almost all Tablets. We’ve put our focus into ensuring that interacting with DADOS on a tablet is user friendly both for patients and clinicians. 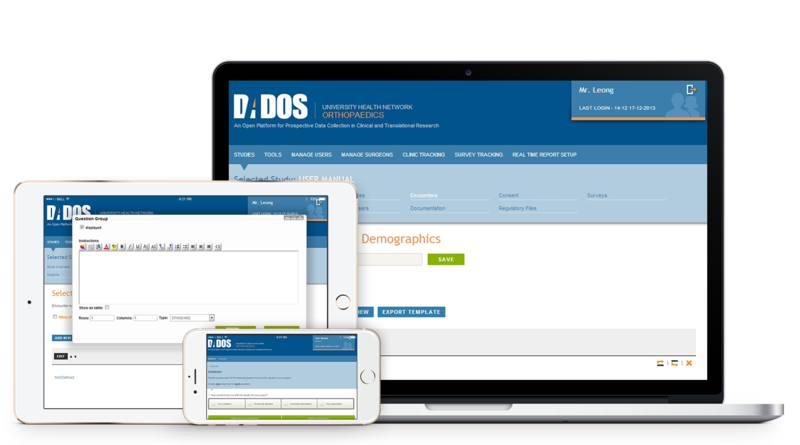 DADOS makes it easy for patients to fill out questionnaires directly on their tablet, from which clinicians and researchers can retrieve this information and build custom reports. Interactions like this allow for far superior engagement with patients; and allows clinicians to leverage existing technology, coupled with DADOS, to deliver necessary information to patients in a medium they are already comfortable interacting with. DADOS gives you the ability to create custom forms with ease. You can edit your questions and change access for individual users throughout your study. Easy to follow and use, the form builder can be an integral tool in your research process. You can create custom reports for a population or a subset of study subjects. The subset can then be defined based on set subject characteristics or on answers given to specific questions. Every patient comes associated with unique risks and costs of care. Your team should be able to adopt techniques to identify patients who are likely to become high risk and prioritize care management for those patients. This can be done by collecting information through surveys and/or analyzing patient history. As an added benefit, all of this data can be stored securely and retrieved efficiently using DADOS. Continuous check-ups are essential to both research and continual care. With DADOS, you can connect with the hospital systems to track patient visits. DADOS is admin-managed and provides a high level of data integrity, necessary for storing and tracking data as important and confidential as personal medical history. Effectively keep track of your studies, completed surveys and next follow-ups using DADOS’ large database and custom search methods. You can also capture information on interactions using the subject call log. This tools allows you to quickly view a snapshot of upcoming work, set preferred follow-up methods, and allocate needed resources. Survey tracking also provides a snapshot of what case report forms have been completed in a given data range. DADOS can help you reduce you physical storage from a thick binder per-patient to almost nothing. Your survey results are saved in the database and any changes are subsequently recorded in a custom audit trail; allowing quick trend analysis. This ability to generate an audit trail allows all changes to be recorded and tracked, thereby helping you adhere to the strict compliance concerns that are ubiquitous in the realm of personal health information.